Titanium tubing are delivered in straight lengths or as U-bent tubing. Titanium spiral tubing, titanium capillary tubing are available by requirement. All the Titanium Tubing offered by us will pass strict test process. Low density, High specific strength, Excellent corrosive resistance, No Rust, Good thermal stability, Good thermal conductivity, Biological features, Plasticity, etc. Industry field, aerospace, architectural, automotive, biomedical, chemical processing, marine, military, oil, tooling, racing. Ultrasonic testing, Electric non-destructive testing, Flaring testing, Hydrostatic testing, Flattening testing, Visual surface inspection, Dimensional inspection, Tensile properties inspection and Chemical elements analysis. First-class product, Reasonable price, The fastest delivery. 100% Ultrasonic Test (UT), 100% Eddy Current Test(ET), 100% Pneumatic Test. 100% Hydraulic Test. CP Grade 1 is the softest titanium with the highest ductility, good cold form-ability which gives Titanium Grade 1 an excellent resistance from mild to high oxidation. Commercially Pure Titanium Grade 1 is one of the softest and most ductile grades exhibiting the greatest formability. It also has excellent welding properties and high impact toughness. Titanium Grade 1 is designated as UNS R50250. CP grade 2 is used most widely in the commercially pure titanium. Titanium Grade 2 has moderate strength and excellent cold forming properties.Titanium Grade 2 is designated as UNS R50400. Grade 2 Titanium is called the “workhorse” of the commercially pure titanium industry, thanks to its varied usability and wide availability. It is "unalloyed" titanium offering an excellent balance of strength and ductility. CP grade 3 is almost only used in pressure vessel. Grade 3 titanium has excellent corrosion resistance. Alloy Grade 5, Ti-6Al-4V, is most widely used in the titanium alloys because of its comprehensive mechanical, physical and chemical properties. 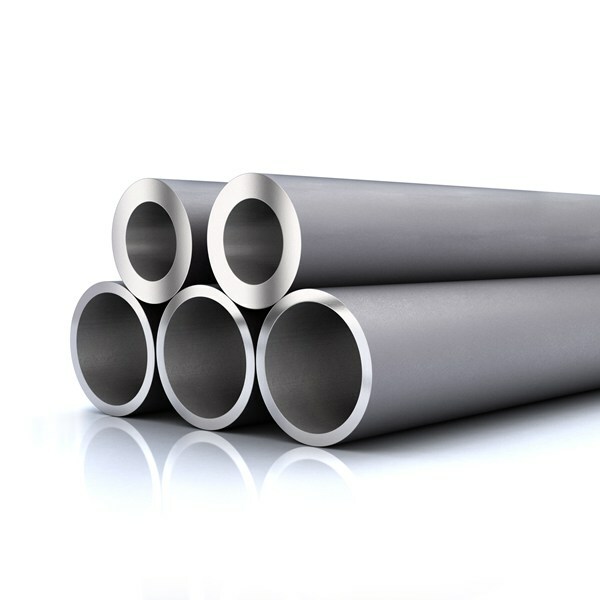 Titanium 6Al-4V, Titanium Grade 5 alloy (UNS R56400) is the most widely used titanium grade. Titanium Grade 5 is a two phase α+β titanium alloy, with aluminum as the alpha stabilizer and vanadium as the beta stabilizer. Grade 5 titanium has good welding and fabrication characteristics. Alloy Grade 23, Ti-6Al-4V ELI (Extra Low Interstitial) is designated as UNS R56401, Titanium Grade 23 has a superior damage tolerance to other alloys. These benefits make Titanium Grade 23 the ultimate dental and medical titanium grade. Titanium 8Al-1Mo-1V is a near Alpha Alloy that was primarily designed for use at elevated temperatures - up to 455 degrees centigrade. It offers the highest modulus and lowest density of all Titanium alloys. It has good creep strength and it’s weldable by the inert gas fusion and resistance-welding processes. TNTI focuses on supplying high quality Titanium Tubing to worldwide customers at competitive prices. Whether you are looking for seamless titanium tubing, titanium welded tubing, titanium spiral tubing, titanium tubing stub ends or titanium screwed fittings, TNTI can all met you.